We had lots of fun creating valentines, Family Frames, and Stamp of the Month cards yesterday at StampThat! I want to take a quick moment to share a card with you today. 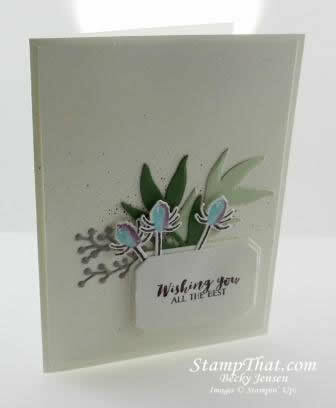 This was made using the First Frost stamp set. I need to keep it short today. I hope you are doing well. Thank you for coming by! “Wishing You all the Best with First Frost” is Very pretty indeed. Thank you for sharing this beautiful creation. I appreciate all of the hard work you do to keep everyone busy and happy.